Dr. William H Barth Jr, MD is a Doctor primarily located in Boston, MA. He has 34 years of experience. His specialties include Obstetrics and Gynecology and Maternal and Fetal Medicine. He speaks English. Dr. Barth has received 5 awards. The overall average patient rating of Dr. William H Barth Jr is Excellent. Dr. William H Barth Jr has been rated by 24 patients. From those 24 patients 9 of those left a comment along with their rating. The overall rating for Dr. William H Barth Jr is 4.8 of 5.0 stars. My wife (pediatrician) and I (psychiatrist) found out she had to deliver by c-section unexpectedly. Dr Barth broke the news in a remakably humane fashion, and was wonderful throughout the procedure, which I could hear him carefully supervising. Cannot recommend him enough. I had a high risk pregnancy with many complications and Dr. Barth took excellent care of me. I have him to thank for helping me to deliver healthy twin boys despite numerous medical issues and lengthy hospital stays. He has excellent bedside manner and I would definitely recommend him to anyone with a complicated pregnancy! William H. Barth, Jr, MD, is Chief of the Division of Maternal-Fetal Medicine, Vincent Obstetrics and Gynecology Service at Massachusetts General Hospital and Associate Professor of Obstetrics, Gynecology and Reproductive Biology at Harvard Medical School. He is Chair of the Committee on Obstetric Practice for the American College of Obstetricians and Gynecologists and is an Oral Examiner for the American Board of Obstetrics and Gynecology. Before retiring as a Colonel in the United States Air Force in 2005 he served as Department Chair at Wilford Hall Medical Center, as Chief Consultant to the Surgeon General for Maternal-Fetal Medicine and as Commander of the 407th Expeditionary Medical Group in Iraq. His primary research interests since 1996 have been in the design and conduct of a number of randomized trials in clinical obstetrics and perinatology. His clinical practice and interests are in the areas of preterm birth, cervical insufficiency, multiple gestations and intrapartum obstetrics. 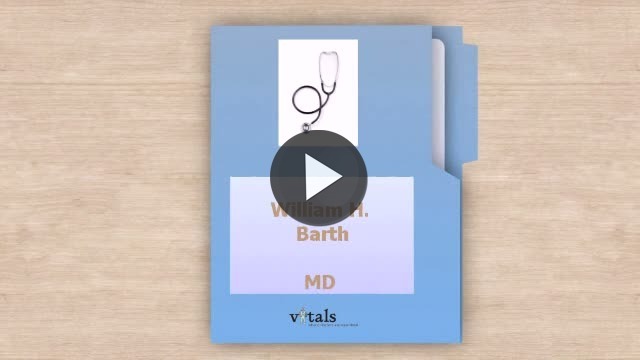 Take a minute to learn about Dr. William H Barth Jr, MD - Maternal and Fetal Medicine in Boston, MA, in this video.